Security experts within the commercial sector are beginning to realize how important vehicle inspection security is. Just about everyone knows that the commercial sector is fraught with security risks. From data leaks to physical theft, it comes as no surprise that there are a number of vulnerabilities businesses must be aware of. Still, many conventional approaches to commercial security overlook one large, increasingly more important factor: vehicle inspection security. Vehicle inspection security is often the first line of defense against theft and physical data leaks. Let’s take a look at some of the approaches commercial facilities can take to help improve their vehicle inspection security. Authorizing identity is a huge factor in any approach towards security. One of the most surefire ways to identify someone is through the use of optical systems, with the traditional approach being simple CCTV systems. 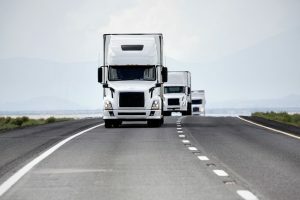 These days, more serious approaches towards vehicle inspection security include driver cameras and, specifically, intelligent ones like the Intelligent Vehicle Occupant Detector. The IVOD is capable of verifying all vehicle occupants and perform advanced facial matching to give experts a better idea of whether or not a vehicle should be entering a secure area. If additional means of authenticating identity are needed, look no further than the Intelligent License Plate Reader offered by Gatekeeper. It’s a quick, reliable way to take note of a vehicle’s license plate and thanks to the intelligent backing the system, all of the details you need are gathered into usable, manageable data. Additionally, the system uses a specialized digital IP which takes advantage of infrared or white light illumination for high-quality images. An intelligent under vehicle scanner may not be necessary for most commercial facilities to use 24/7, but for temporary needs or special events, they sometimes call for some additional vehicle inspection security technology. The Intelligent Under Vehicle Scanner is an immediate threat detection technology that identifies foreign objects or modifications that could be a cause for concern. This entry was posted on Friday, October 5th, 2018 at 12:26 pm. Both comments and pings are currently closed.